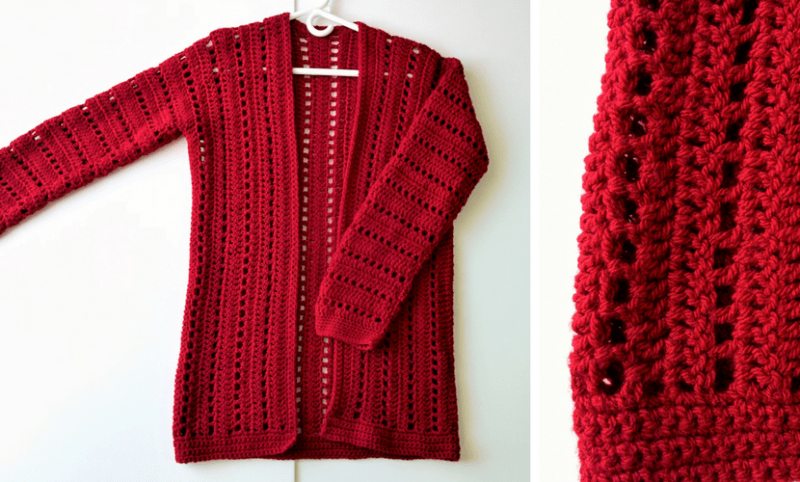 Last year, I was struggling to get my head around making any kind of crochet cardigan or sweater. For some reason, I couldn’t get the shape to look right no matter how much I tried. Then I decided to give it another go with a crochet kit that came with the exact yarn I would need, the pattern and the trust of the company that sold it. 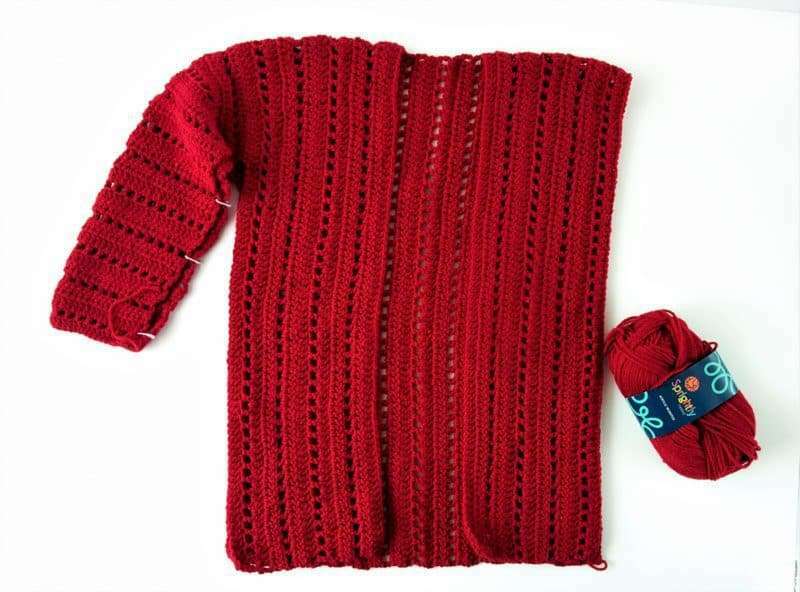 The kit I chose was the Sporty One-Piece Crochet Cardigan designed by Nicole Wang and sold through Craftsy. Here is my review of that kit, and a couple other crochet kit recommendations for anyone who wants to give it go too! The yarn they send is Sprightly Arcylic, an exclusive Craftsy brand, and it’s wonderful. I’ve used it a bunch for other projects too. It comes with more than enough yarn to finish the product and when you order, Craftsy guarantees to match the dye lot with a single order so they’re all the same. I chose the color Crimson, in size 1, and I received 7 skeins of the yarn. I loved this pattern so much, I actually purchased 7 more skeins in Pale Pink to make one for my cousin! 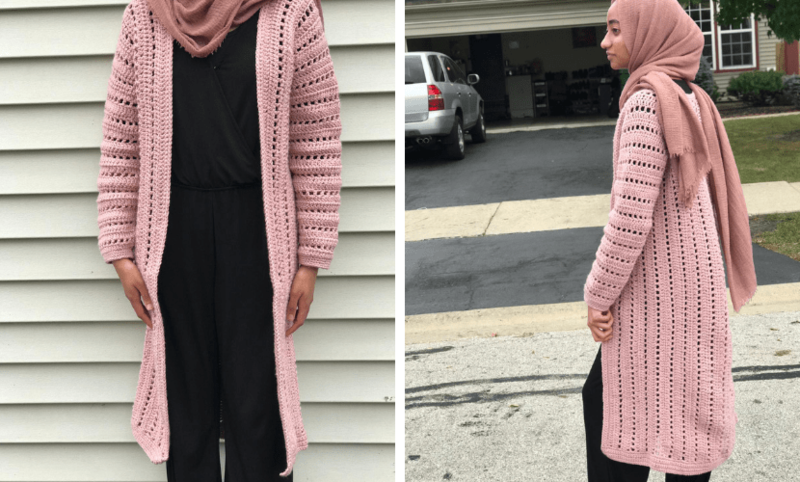 I chose this crochet cardigan kit because it was the simplest one I could find, and I’m already a massive fan of all things Craftsy, so I trusted them. The cardigan itself is made in one piece and worked flat. The other patterns I’ve used involved so much shaping (around the arms, the neck, and sides), which is what usually messed me up. It does have some shaping along the arms to make it fit around the shoulders, but it was minimal and easy to follow. The pattern also used very basic stitches. The only new one I needed to know for this was how to foundation double crochet which I just looked up a video for. They also give you an option for working those sections without the FDC but it’s worth learning. It’s actually one of my favorite stitches now and I use it all the time for perfect stretchy ribbing on beanies! 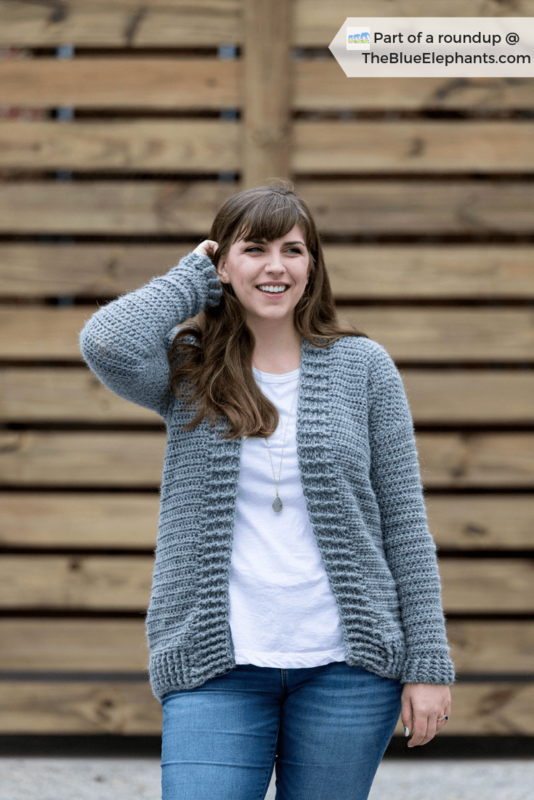 Because you’re creating the same design across the whole cardigan, it’s easy to memorize and keep working without referring to the pattern every second. You do want to keep track of increase rows so they end up in the right places. I would just tally the margins to see what row I was on. Sizing was the only thing I had some trouble with. I’m pretty small and even with regular clothes, I have a hard time finding things to fit. So even though I had the smallest size kit (size 1), it was still way too big once I started. 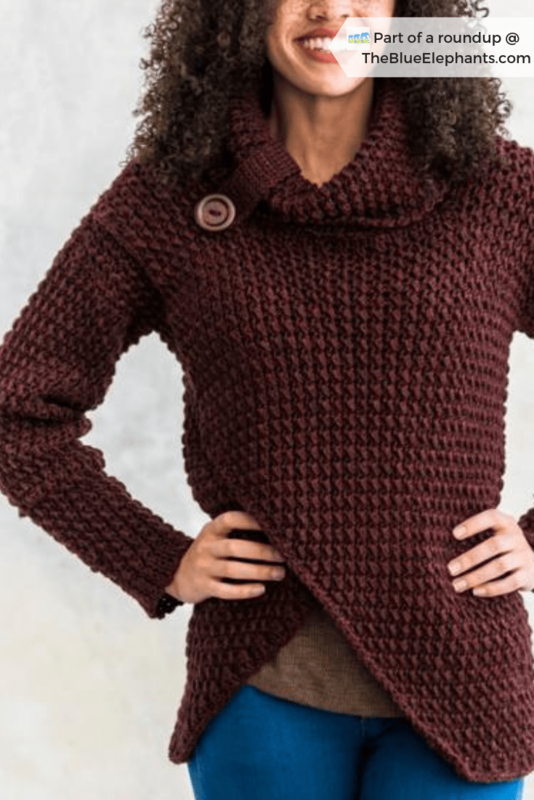 I did see that in the reviews on Craftsy, so if you’re a medium or large, go one size down. For a small though, I switch to a much smaller hook than asked for. The pattern called for a 6.00mm and 5.00mm so I used a 4.00mm and 3.50mm. I had to work a little more loosely than I usually would to keep the drape but it worked out perfectly. Also, I extended the sleeves and body on the second one I made for my cousin. She just wanted it a little longer and the pattern tells you how to do that, but it’s really just working more rows. I love this crochet cardigan and I am super proud of myself because I finished it. Total, I only spent 4 days working on it! Every other pattern I looked at either wasn’t something I would wear or it seemed too polished for me to be able to recreate. This seemed doable. In fact, I wore this around my house when I finished and my brother actually thought I bought it ready-made! This crochet kit was perfect for a beginner like me and I can’t wait to wear this throughout Fall. It’s so warm, guys. It doesn’t really look like it is with the open stitch, but it’s so cozy. 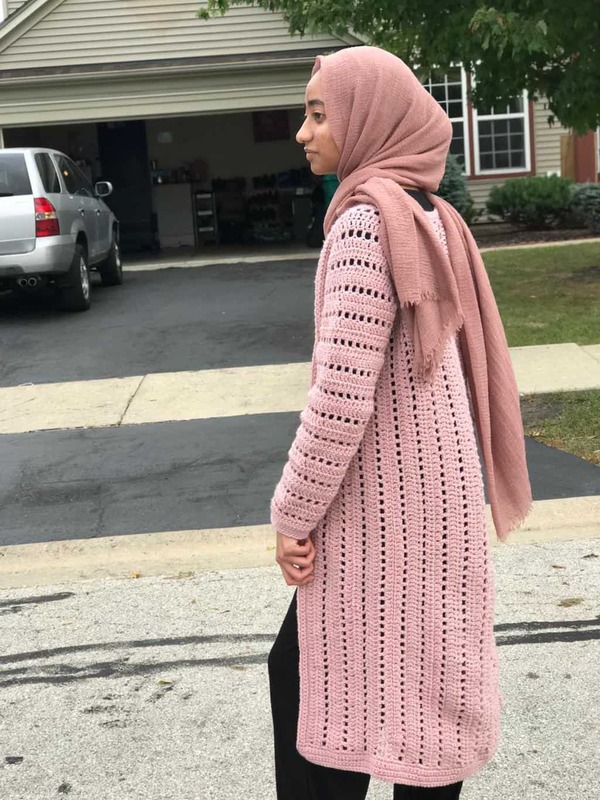 Since making this crochet cardigan, I’ve been on a roll! 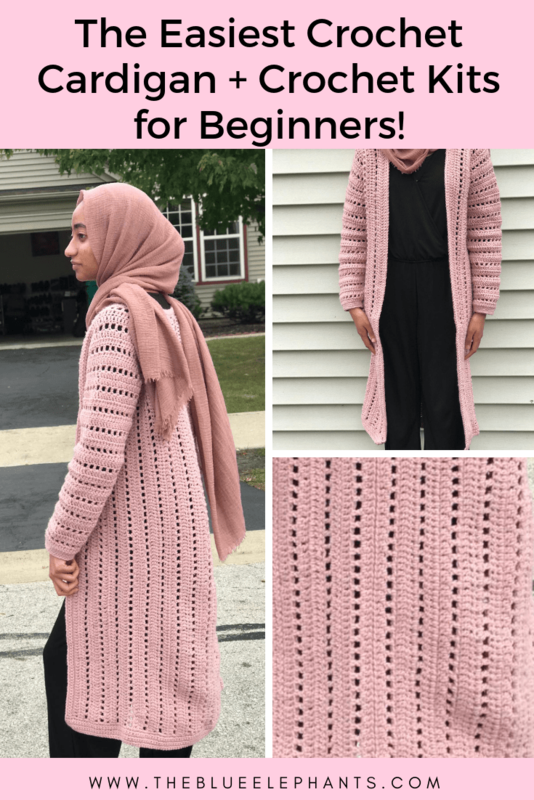 I love making sweaters and cardigans now and I even shared a post of over 20 free crochet sweater patterns that I think you’ll enjoy. But I think kits are the way to go if you really want to recreate something exactly as you saw it. There are so many more crochet kits available now than there used to be and a lot of them are designed by bloggers! 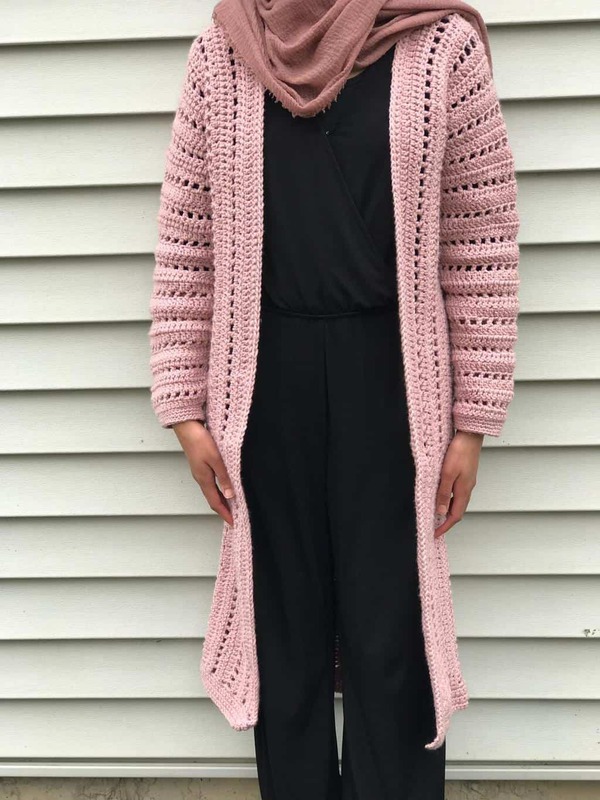 I’ve put together a list of some of my favorite crochet cardigan kits down below. Lion Brand and Craftsy are my favorites to shop from because I trust them and their materials. Plus, their kits on sale for the holidays! Win-win-win! 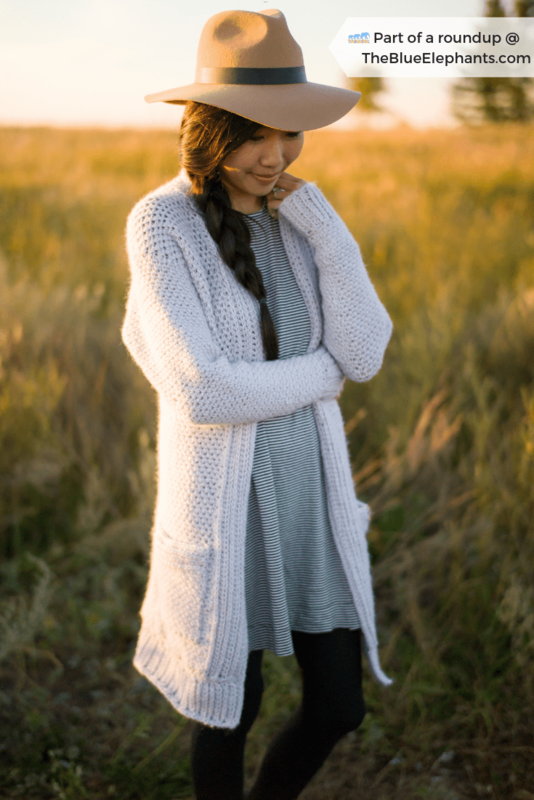 The XO Cardigan – like a mini version of the one above! 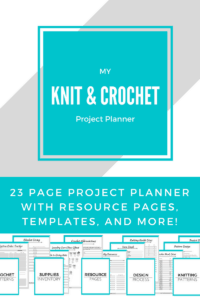 Crochet kits are my favorite and I included them as one of the things in my Gift Guide for Makers, so take a look around and you might find the perfect knitting or crochet kit for someone on your list! I hope you enjoyed this post and it gave you some encouragement to go try something new and give it your best shot. If you want to get more free patterns, tips, and information on sales for yarny things, sign up for my newsletter below. 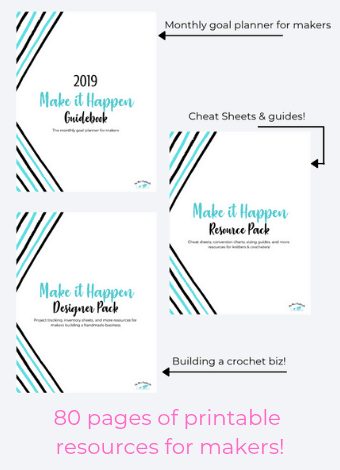 Just fill out your name and email and you’ll also get access to all the freebies and guides in my resource library! 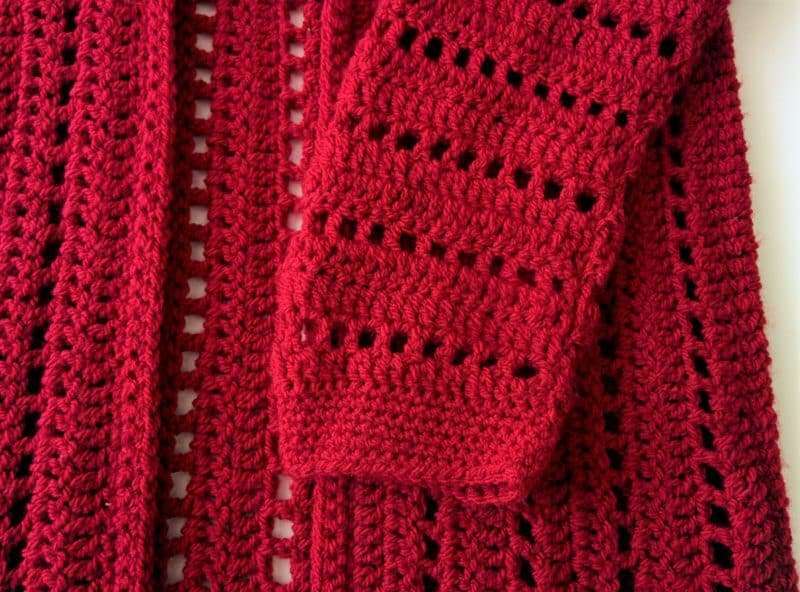 Cute pattern and I love how your red cardigan came out. Great job! I just bought this from Craftsy two weeks ago. Thanks for the review. I now feel comfortable enough to get started on it. I’ve only made one other cardigan, which surprisingly turned out pretty great. Thanks for the review!! Glad it helped, Susan! I was a little uncomfortable too, especially since it was a whole kit. But I just went ahead and got into it. I plan on doing more pattern/kit reviews soon so let me know if there are any others you’re interested in! I I like the cardigan design and the color you picked. I will think about getting this one. Thanks for your review.